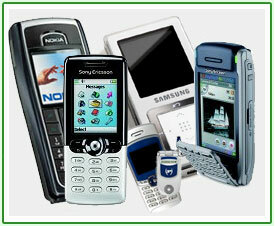 By recycling your mobile phone you are diverting it away from landfill. Every mobile phone contains precious metals such as platinum, gold, copper, palladium and zinc, but also has plastic. All these metals and plastic's require recourses' and energy to manufacture which cause harm to the environment. Mobile phones and their accessories also contain some of the most dangerous substances known including Rhodium, Lead Solder, Cadmium and Beryllium, so when you just discard of your old mobile phone in your waste it ends up in landfill. When you recycle your old mobile phone this helps cut down on the greenhouse gas emissions created when manufacturing these products and also stops the dangerous substances leaking into landfill. At Return a Toner, we recycle everything nothing is left for landfill; therefore your mobile phone will not be leaking harmful substances into your ground and will not be using up your air to manufacture more products. If you require disposal or recycling services for your mobile phone and/or disused office and IT equipment, please click here to Book A Free Collection. Alternatively, you can contact us on 01908 635330 and we will be happy to assist you.